Hiflofiltro oil filters are engineered to extreme quality standards to provide ultimate engine protection. Hiflofiltro has been manufacturing filters for the OEM motor industry since 1963. With the experience of more than four decades, constant research and development and modern production facilities they manufacture today some of the best quality filters in the world. 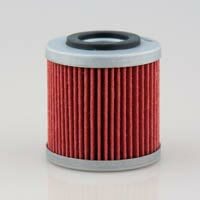 Hiflofiltro has the complete range of Husqvarna Motorcycle oil filters. Engineered to extreme quality standards to provide ultimate engine protection, O.E. manufacturer specifications, best consumer value, constructed using the best available materials, the worlds first TUV approved oil filter, materials and production are at the leading edge of technology and TUV product approved and production monitored. Husqvarna TE125 (2011 to 2012) oil filter. Engineered to extreme quality standards to provide ultimate engine protection. Husqvarna SMS4 125 (2011 to 2012) Hiflo oil filter. Engineered to extreme quality standards to provide ultimate engine protection. Husqvarna SMR125 (2012) Hiflo oil filter. Engineered to extreme quality standards to provide ultimate engine protection. 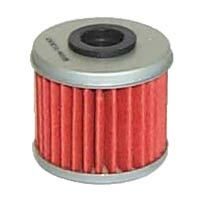 Husqvarna SM250R (2007) Hiflo Oil Filter. Hiflofiltro oil filters engineered to extreme quality standards to provide ultimate engine protection. Husqvarna TC250 (2002 to 2007) Hiflo Oil Filter. Hiflofiltro oil filters engineered to extreme quality standards to provide ultimate engine protection. Husqvarna TC250 (2008) Hiflo oil filter. Engineered to extreme quality standards to provide ultimate engine protection. Husqvarna TC250 / TC250R (2009 to 2012) Hiflo oil filter. Engineered to extreme quality standards to provide ultimate engine protection. Husqvarna TE250 (2002 to 2007) Hiflo Oil Filter. Hiflofiltro oil filters engineered to extreme quality standards to provide ultimate engine protection. Husqvarna TE250 (2008 to 2009) Hiflo oil filter. Engineered to extreme quality standards to provide ultimate engine protection. 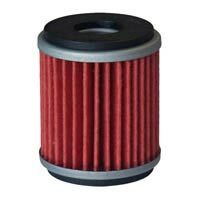 Husqvarna TE250 / TE250R (2010 to 2013) Hiflo oil filter. Engineered to extreme quality standards to provide ultimate engine protection. Husqvarna TXC250 (2008 to 2009) Hiflo oil filter. Engineered to extreme quality standards to provide ultimate engine protection. 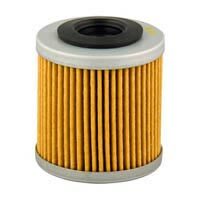 Husqvarna TXC250 / TXC250R (2010 to 2013) Hiflo oil filter. Engineered to extreme quality standards to provide ultimate engine protection.